Igor & Red Elvises 2010 World Tour brings the party to the people of Palmyra on Monday, October 11 at the Palmyra VFW, east of the village on Route 31. Playing a unique blend of Russian folk music, 50’s rockabilly/surf, reggae, and whatever else makes them happy, Igor & Red Elvises tour almost perpetually, to the delight of legions of passionate fans around the globe. The all ages show, a presentation of the Pirates of the Erie Canal, producers of the annual August festival Palmyra Pirate Weekend, begins at 7pm with a special appearance by legendary Rochester indie-rockers The Chinchillas. 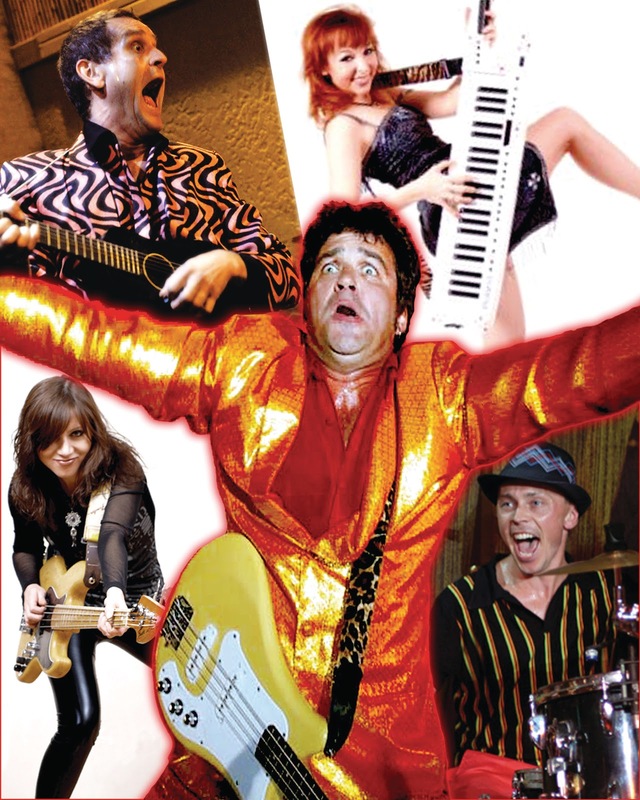 Returning to the US recently from the Russian leg of their summer tour, Igor & Red Elvises are revved up and ready for a rare upstate New York appearance before continuing on the road that began fifteen years ago. In 1995, band leader and Russian émigré Igor Yuzov dreamed that Elvis Presley came to him and told him to start playing rock ‘n roll. Not one to say no to a king, Igor and other Russian friends started playing music on the streets of Santa Monica, California and the Red Elvises were born. Advance sale tickets are available now from the Palmyra Village and Town Halls for $10 each. Remaining tickets will be $12 at the door, opening at 6pm. Proceeds will be used for future Palmyra Pirate Weekend functions and activities. For more information, please call 315-597-4849, or visit www.eriecanalpirates.com. Learn more Igor & Red Elvises at www.redelvises.com. 0 Comments to "Viva la Rokenrol Revolution!"